IDF's Tilak Bal Gurukul at Chindran, Panvel (Maharashtra) gets basic facilities. Every drop counts....... Indian Development Foundation has been able to fulfill the dream of the children of Sudhagarh Secondary School in Chindran, Panvel, Dist. Raigad, Maharashtra by providing drinking water facilities. 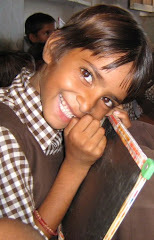 The school has IDF's Tilak Bal Gurukul programme and the students have performed well in their academics. The school had no electricity, drinking water and sanitation facility. IDF took up the challenge and with concerted efforts the job could be accomplished in just a few months. IDF team comprising Dr.ARK Pillai, Rtn. Aunali Rupani, Dr. Narayan Iyer, Adv Gopalakrishnan, Adv Rajashekhar, Mr. Jayakumar, Mrs. Prabha Shankar and Ms. Pratibha Menon visited the school and inaugurated all the projects on 30-06-2012. Dr. A.R.K. Pillai and team IDF congratulated Mr.Jaihind Thakur, Principal of the School and appreciated the commitment of his teachers and students. Mr. Uday Thakar, Hon. Secretary, HKNS thanked IDF for providing basic facilities for the students. Inauguration of Upgraded Physiotherapy Centre - 26-06-2012 IDF feels proud to be part of the great social initiative. Maharashtra Lokahita Seva Mandal (MLSM) has been running a fully equipped Leprosy Referral Centre (LRC) at S K Patil Municipal General Hospital, Malad (E), Mumbai for the benefit of needy leprosy patients. With the intention of integrating the program with general health services, MLSM has started providing consultation to other patients having skin problems in the LRC. MLSM feels that the disable persons other than leprosy should also take advantage of the physiotherapy facilities available at the LRC. The physiotherapy facilities are enhanced with new equipment like “Short Wave Diathermy”, “Ultra Sound” and some Gym/Exercise equipment which are procured through IDF's support. The facilities and the expertise of Physiotherapist will be used by the general patients of the hospital and from the vicinity along with the leprosy patients. IDF feels proud to be part of the great social initiative. Botswana team hails IDF work. J.P.Charities team donated 1152 note-books for IDF Bal Gurukuls....Mr. Rishi and Mr. Rohit visited IDF office on 22-06-2012 and donated 96 dozens of books to Dr.Pillai and Dr. Narayan for further distribution to children at St.Thomas Bal Gurukul at Pathanwadi, Malad (East), Mumbai. 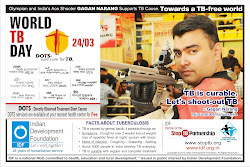 IDF conveys special thanks to Mr.Rishi and Mr. Rohit for extending wonderful support for the education cause. Indian Development Foundation (IDF) in collaboration with CSS – Centre for Social Service will launch a Women Empowerment Programme on 18th June at CSS-NAM Centre, Hayat Nagar, Hyderabad at 10:00 AM. IDF-CSS run a Bal Gurukul at the centre. The programme will help the women of the nearby slums of the centre which has a large population of the Lambadi Tribes. These ladies are not educated and do not have any skill. However they are showing a lot of interest to learn and earn for their family and children. This project is for the women from rural and urban poor women working in the informal sector and also for the mothers of the children of IDF Bal Gurukul who after leaving the child in school just work as casual labourers. IDF participants at the event - Dr. Narayan Iyer, Mr. Sanjaay Ramm, Mr. Samuel Vincent. A step in the right direction to empower women - A better family - a better India. IDF team comprising Dr. Narayan Iyer, Mr. Samuel Vincent, Mr. Sanjaay Ramm and Mr. P.V. Rao visited IDF Bal Gurukuls in Hyderabad and interacted with the students on their first day of school. CSS-NAM Bal Gurukul at Hayat Nagar, Hyderabad and Andhra Sawaswati Balika Patashala (ASBP Bal Gurukul) at Feelkhana, Hyderabad. The children felt extremely happy to meet IDF team and conveyed their promise of performance in the current academic year. IDF in collaboration with CSS-NAM Centre in Hayat Nagar, Hyderabad, Andhra Pradesh launched a women empowerment programme on 18-06-2012. IDF team Dr.Narayan Iyer, Mr. Samuel Vincent, Mr. Sanjaay Ramm and Mr. P. V. Rao - were present for the inauguration. Dr. Vijayalakshmi and Mrs. Janaki Rao from CSS NAM thanked IDF team for the wonderful support. Empower women - Empower family - Empower nation !!! Social Interns (Karna - Dhrutika - Riddhi) from Kohinoor Business School, Mumbai completed one month of social internship with Indian Development Foundation. The team helped in various social projects of the Foundation and touched many lives in the process. All appreciation for their excellent work. Mrs. Rekha Bajaj and Mrs. Uma presented IDF Appreciation Certificate. Nielsen across the globe observed 14th June as Global Impact Day and volunteered for social causes and projects as part of their social responsibility initiative. In Mumbai, around 400 employees from Nielsen chose to visit Malwani, the Asia's second biggest slum located in north Mumbai. Hunger-free society and food for education were the theme selected by the group who visited four schools in Malwani where IDF runs its Bal Gurukuls, the educational empowerment programmes. "Global impact day turned out to be a great social impact day for all the volunteers of Nielsen group who joined hands with Indian Development Foundation, ISKCON Food Relief Foundation and Rotary International", observed the Nielsen team. There are 141 pictures in the webalbum and every photo has something to convey. Indian Development Foundation received honors from ISKCON Food Relief Foundation (Annamitra) for extending whole hearted support to the Midday Meal Project to feed underprivileged children in Maharashtra. Prabhu Radha Krishna Das from ISKCON Food Relief Foundation presenting the honors to Dr.A.R.K.Pillai and Dr. Narayan Iyer on 14th June 2012 at the project area - Malwani, Mumbai. Nielsen team visited IDF office to finalise on Nielsen Global Impact Day event. Nielsen across the globe will dedicate 14th June for various social projects. In Mumbai, around 400 employees from Nielsen will be visiting IDF's Bal Gurukuls in Malwani, provide food and books and do value-addition for young minds. Mumbai event will be done in collaboration with Rotary Club of Mumbai North End and ISKCON. Nielsen Team (Vivek Jain, Shailza Awasthi, Kaveri Kshirsagar, Melanney Sequeria, Denver D'souza) met Dr.ARK Pillai, Rtn. 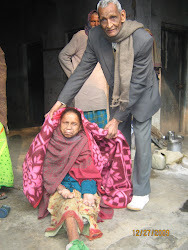 Aunali Rupani and Dr. Narayan Iyer. Blessings from Rev. Fr. Saji Yohannan, Chairman, St. Thomas School, Ghaziabad. Rev. Fr. Saji Yohannan, Chairman, St. Thomas School, Ghaziabad visited IDF office, Mumbai on 12-06-2012. Rev. Fr. Saji Yohannan is a great supporter and well-wisher of Indian Development Foundation. Congratulating Dr. Pillai and IDF team, Fr. Saji appreciated IDF's ongoing social projects across India. IDF launched Ketty Valley Bal Gurukul at Coonoor, The Nilgiris on 11-06-2012. KBG is the 76th Bal Gurukul of Indian Development Foundation. Our special thanks to Mrs.Rajammal, Co-ordinator, Kendriya Vidyalaya, Chennai for offering one room in her home at Coonoor for running the Bal Gurukul for the children in Ketty Valley and nearby area. The event was co-ordinated by Mr. S. Sreeram, Mr. F. Fredrick and Mr. Mano Ranjit Lad from Indian Development Foundation. IDF is committed to bring smiles on million lives. IDF launched Blossom Bal Gurukul at Aavudaiyapuram, Virudhunagar District, Tamil Nadu on 11-06-2012 in collaboration with Blossom Trust. IDF is committed to bring smiles on million lives. IDF visited St.Anthony's Hr. Sec. School, Velachery, Chennai on 05-06-2012. Rev. Sr. Regi, Principal of the school congratulated IDF's national development programmes. 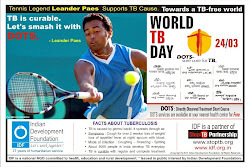 IDF salutes the schoolteam for extending support to leprosy/ TB and education projects. Visit to Akshayah Matriculation Higher Secondary School, Tansi Nagar, Chennai on 05-06-2012. Ms. Rosabel David, Principal of the school appreciated the social intiatives of IDF. IDF thank Akshayah team for supporting various social programmes in humanitarian interest. Great meeting Dr. V. Shanta, Chairperson of Adayar Cancer Institute, Chennai on 05-06-2012. On World Environment Day (05-06-2012), IDF team visited Thiruvalluvar Bal Gurukul at Royapuram, Chennai and talked on environment. TBG is run in collaboration with St. Anne's Primary School. Rev.Sr.Sneha, Principal of the School congratulated IDF team for organising Bal Gurukul programmes in different states in India. It was great feeling to be with the children and listen to their dreams and desires. IDF is committed to bring smiles on many lives. "Realization is nothing to be gained afresh; it is already there. All that is necessary is to get rid of the thought `I have not realized'." IDF team visited RASA (Ramana Sunritya Aalaya), a centre for theatre arts and special needs, at Abhiramapuram, Chennai on 04-06-2012 and congratulated the Founder-Director Dr. Ambika Kameshwar for the excellent work carried out for the empowerment of special children. IDF team - Dr. Narayan Iyer, Mr.Sreeram S., Mrs.Kamakshi Siva and Sreelekha Narayan - visited the centre and offered to partner and network with RASA and spread the message of goodness.